While people window shop, I plan fantasy vacations. This means I spend a lot of time looking up photos and prices for places I want to visit. Fortunately for me and fellow travel bugs, those fantasies can now be realities! WOW Air, an Icelandic budget airline, will start offering flights out of Cincinnati in May 2018 at a base rate of $100 one way to Iceland and $150 to 18 European destinations and Tel Aviv. Flights to Iceland’s capital Reykjavik are direct and 6 hours long. All other destinations stopover in Iceland. This means you can fly to select cities in Iceland, Italy, Germany, Denmark, Netherlands, the UK, Spain, Poland, Sweden and France for cheaper and faster than flying to some U.S. cities! Flying to anywhere in Europe currently is $700 - $1,000 round trip, so this is AMAZING news! 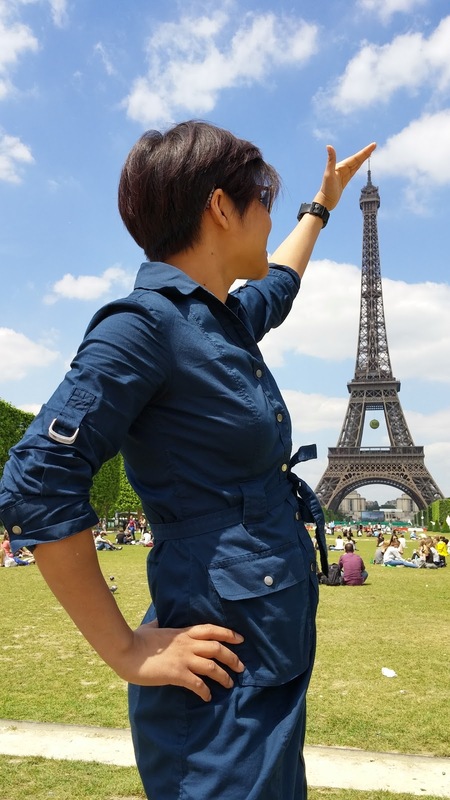 So if you ever fantasize about flying away to Paris and never come back (or at least for a short vacation), you can finally do it for only $150 one way. Ridiculously cheap? Yes! It comes with a few caveats, but you can do it and here’s how. You can book tickets now for 2018 by going directly to wowair.com but I found the process to be cumbersome. Search results only show prices for a few days at a time and you'll have to scroll one by one to see better prices. 3) Click on the "date". A calendar will appear at the bottom and scroll through the months to see the cheapest dates. It's easy to find cheap one way tickets to Iceland and Europe but finding a separate one way ticket back to Cincinnati is almost always more expensive. To get a better deal, I suggest searching for "Round Trip". 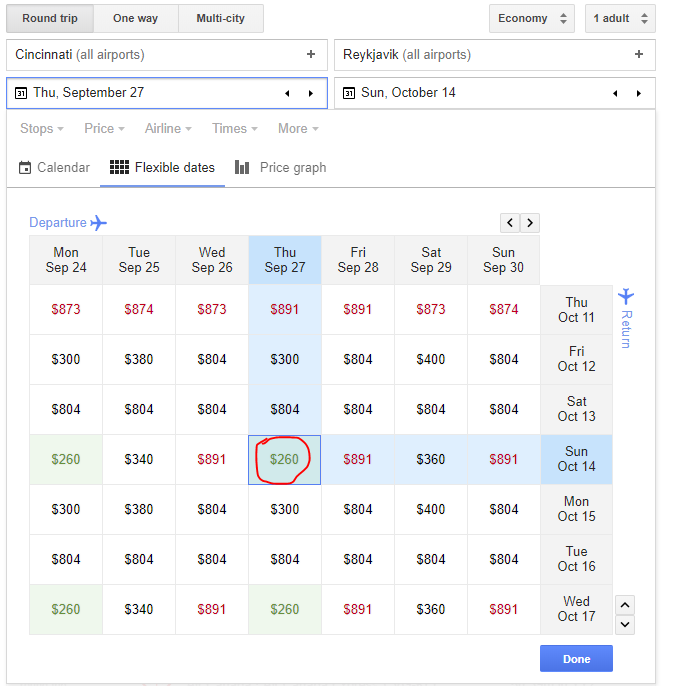 When you click on the departure and return date, a calendar will pop up with a two-month calendar view of the prices. Pick the departure and return date with the best prices (in green). 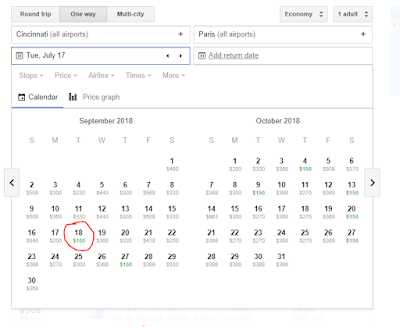 The price for the dates you pick initially might not be the cheapest but you can refine your search further by choosing “flexible date” (next to "calendar" under departure date). You’ll get a matrix with dates around your desired departure time with better rates. For detailed instructions you can go here. $260 RT to Iceland is an excellent price! 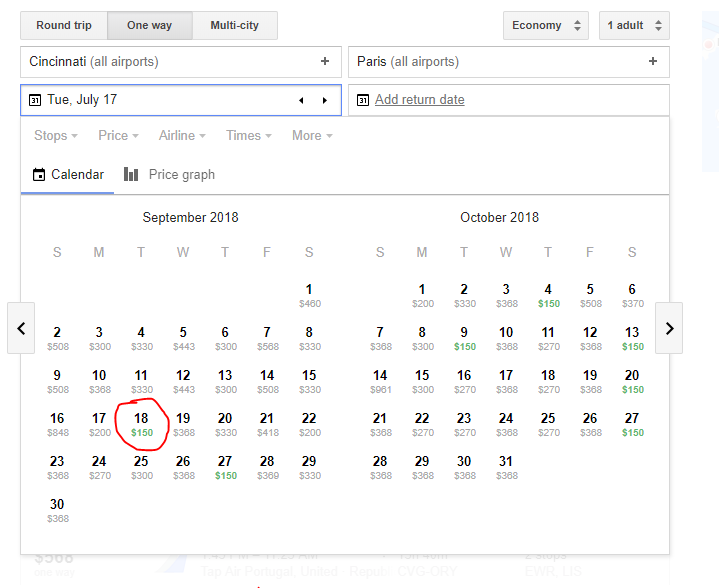 Once you find the dates and prices you like, Google will direct you to WOW to book. For $100 and $150 tickets, search and book months ahead. Be flexible with your travel dates and destination. Leaving a day early or later can save you hundreds. Google flights has the option to track flights & prices. It’ll notify you when the price changes. If the price is too high now, it might be worth it to wait. However, have an idea of what a good price is. You don't want to wait around for an unreasonable rate that may never come. 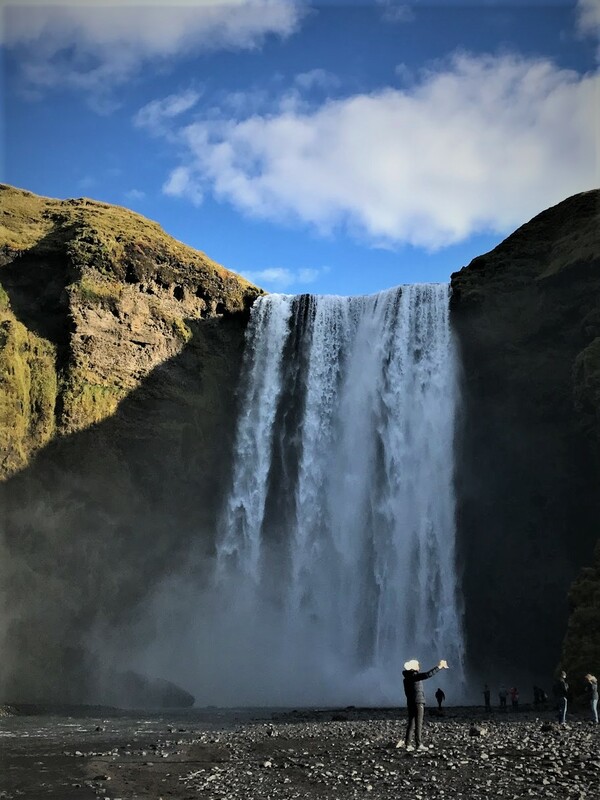 A really good price for a round trip ticket to Iceland is in the $300 range and $400 range for other European destinations. WOW flies only on certain days of the week depending on the destination, choose those dates to ensure the best rate. 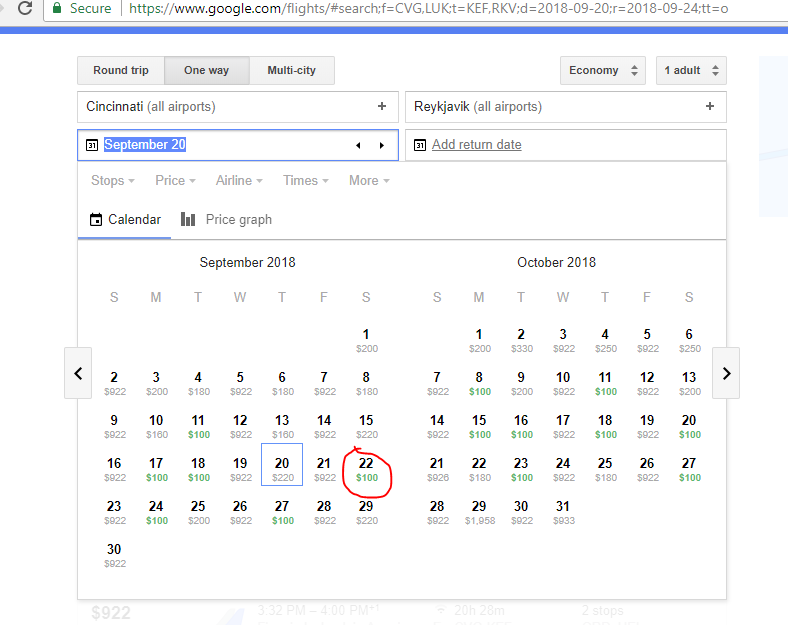 WOW flies out of Cincinnati to Reyjkavik: Monday, Tuesday, Thursday and Saturday; out of Reyjkavik - Cincinnati: Sunday, Monday, Wednesday, Friday. If you want to combine Iceland with other European destinations, consider their free Stop Over Offer. More info here. If your intended European destination is expensive through WOW air or not offered at all, there's a great solution! 1) The cheapest option is to book your round trip ticket to Iceland through WOW and use Iceland as your travel base. From there, you can fly to almost any European city for very cheap. You'll get this result. Round trip to the UK from Iceland for as low as $50. Or if you have multiple cities in mind, fly one way into one city and back from another city. You can find one way tickets from Iceland to Europe for as low s $22 one way. 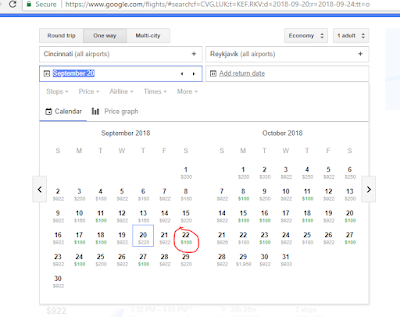 If you time and book things correctly you can fly to from Cincinnati to Iceland for $260 + $50 (RT to UK) + $62 (RT from UK to Paris via EuroStar train) + whatever other cities you want to visit....the options are limitless! Here's further reading for tips and advice on budget airlines in Europe. Please NOTE: skyscanner is a search engine so you cannot buy the tickets directly from them. When applicable, it'll give you a list of travel agencies and/or airlines to book. I suggest selecting the airline company directly to avoid complications with un-reputable third party sites. Yes, you’ll have to fly out of Cincinnati but the short 1.5 hour drive there from Louisville is worth the savings. If you have friends or family in Cincinnati, park your car there and then Uber/Lyft to the airport. Information here for a free Uber ride. If you opt to park at the airport, there are a few options. The cheapest is to park your car at CVG ValuPark, a long term open air parking lot for $9/day. Directions here. Before you enter the lot, the parking attendant will direct you to the appropriate row, a shuttle will then come to you to give you a ride to the terminal. It's a well coordinated process and you can be at the airport in 10-15 minutes, depending on how many people they have to pick up in the lot. Since the airfare is cheap on budget airlines, you’ll have to make some compromises. Drinks and snacks are not free; the seats are smaller and leg room is minimal; luggage requirements are strict and expensive. Prepare yourself by reading the policies and guidelines from each airline so are not caught off guard by unwanted expenses and headaches. I've booked my Iceland tickets and am looking forward to this scenery! If you are interested in more travel tips, check this blog post on how to fly to the beach for as low as $30 or this for tips on booking cheap hotels and cars.